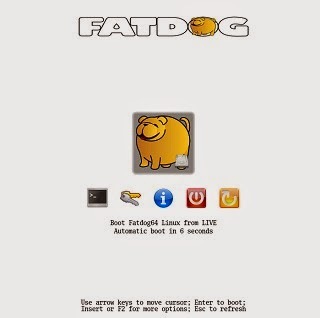 FatDog (a 64-bit version of Puppy) now supports 64-bit UEFI booting. Here is how to add it to Easy2Boot and enable UEFI booting. 5. 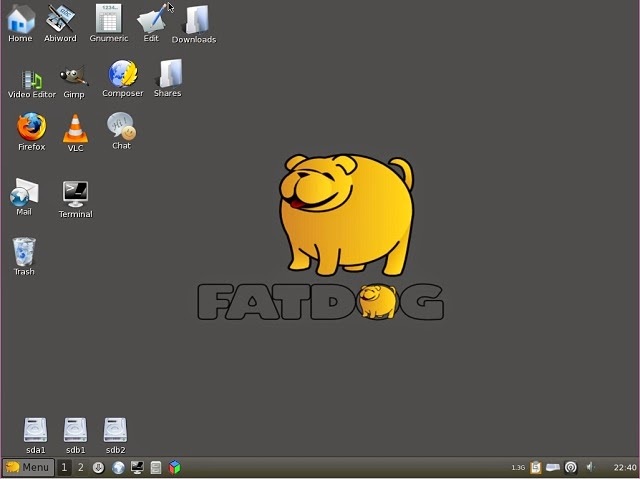 Drag-and-drop the C:\temp\fatdog631 folder onto the Windows Desktop MPI_FAT32 shortcut to make a .imgPTN file (see www.easy2boot.com - MakePartImage for details). if you want the persistence feature (Save file), increase the size of the FAT32 partition (e.g. add 500MB). Note that if there is not enough space and Puppy creates a very small Save file, it will not boot until you delete the Save file! You can now boot to E2B in the normal way and select the new .imgPTN file. Once you have switched partitions you can UEFI-boot from it (64-bit systems only) or use Clover to UEFI-boot directly or use the CSM menu to boot in MBR mode. You should now have a single file under the \EFI folder called \EFI\boot\bootx64.efi. When you UEFI-boot, you will see the black menu screen shown above. You can drag-and-drop the ISO onto the MPI_FAT32 shortcut to convert it to a .imgPTN file (choose 37 for linux option). I used tahr-6.0.6-uefi.iso. Don't forget to increase the default size suggested if you want to use the Save feature and have persistence. Switch to the .imgPTN file and the FAT32 partition. Now extract the contents of the \efi.img file to the root of the E2B drive (i.e. the new FAT32 partition should now contain \EFI\BOOT\BOOTX64.EFI). Now it will be UEFI-64-bit bootable. Now you should be able to UEFI 32-bit/64-bit and MBR boot. Have you tried PXE booting yet? Please send me your own language files! What's eaten up all my disk space?